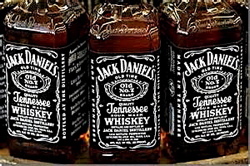 Brown-Forman Corp., of Louisville, announced this week the opening of a new cooperage, or barrel maker, in Trinity, Ala., about 60 miles southwest of Lynchburg, Tenn., home of the Jack Daniel’s distillery, that will craft an estimated 700 barrels per day, in an effort to keep up with demand for this Tennessee whiskey. The American white oak for these barrels will come from nearby stave mills owned by the company, and the effort is expected to employ 200 workers. This is another example of how the bourbon/whiskey business is booming these days. It seems every major distillery, especially in Kentucky, has either purchased more space, constructed new rickhouses for aging, or opened a fancy new welcome center here in the last year or two. Export sales of American whiskey surpassed $1 billion for the first time last year, more than double what they were 10 years prior, according to the Distilled Spirits Council. That’s billion with a B. In the U.S, sales are up 26 percent over the past decade for bourbon and whiskey. Distillers are essentially printing their own money at the moment. It doesn’t seem like there is anything they can’t produce that doesn’t sell, hence we’re seeing a rash of new distilleries opening around Kentucky. Back in Tennessee, they’ve been going through a debate about how to officially designate what is considered genuine Tennessee whiskey. I’m not sure what all the fuss is about, other than it is inferior to Kentucky bourbon. A state law enacted last year in Tennessee states that distillers must age their spirits in unused American white oak barrels for the bottle to say it is Tennessee whiskey. Smaller bottlers, led by Diageo-owned George Dickel, are worried there could be a potential shortage of white oak due to wet weather conditions, and have argued for the use of rejuvenated barrels. Certainly the big boys are flexing to protect their market shares, but this “law” also prevents poor knockoffs as well I suppose. Another angle is that London-based Diageo’s flagship label is Johnnie Walker scotch – a brand not selling so well these days. Diego might try anything to slow down the global growth of Jack Daniel’s. 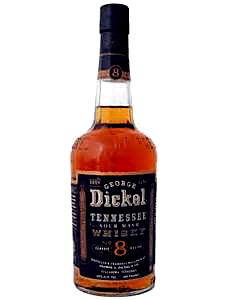 Dickel is the second largest producer of Tennessee whiskey, and sold 130,000 cases in 2013, while Jack Daniel’s last year moved 11.5 million of its black label. This entry was posted in Liquor and tagged Brown-Forman, Diego, George Dickel, Jack Daniel's. Bookmark the permalink.